Lower rate, but more expensive than marinas in the area. The rate per foot is only $2.00, however, there is no break for a weekly or monthly stay. There are no dock attendants, one bathroom for all boaters (one toilet, one sink, and one shower, all in the same room), no laundry or lounge. We stayed for 13 days and paid $1280 for our 40 foot boat. A month at Jabins, just up the creek was $900 for an entire month, unfortunately for us, they had no space, so we ended up here. When I asked about a monthly rate, I was told they had one but they don’t offer it because it is too difficult to keep track of. Will not use this marina again. The location is good, quiet, and the docks are easy to get to... but not much else was good. The finger dock was narrow, wobbly, and short, not to mention covered in dried bird poop (goose?). The pilings were covered in nails and metal loops that I guess people put there to hold their dock lines over the years, but now just made it difficult and dangerous to get your line on and off. The showers were at least a 5-minute walk, and the regular showers were under construction, so we had to use the pool showers, which had no curtains or dressing area. Nice Marina. Low cost per foot compared to others. We didn't use the amenities. Dena provided great customer care. Approx.Half an hour walk to downtown Annapolis. Bird alarm on pier went off too frequently. We loved everything about our stay at Watergate. We will for sure be making more trips in the future. It was a nice stay - Dena was great! Bathrooms were nice but a bit far although it was a pleasant walk. Wifi not provided but we did pick up onspot from somewhere. One mile walk into town which was great because we were close but could get away to the quiet when we wanted. Would definitely recommend. Located in the heart of the charming Eastport neighborhood of Annapolis, Maryland, the marina at Watergate Pointe offers outstanding amenities and direct access to the Chesapeake Bay, all in the protected waters of Back Creek. 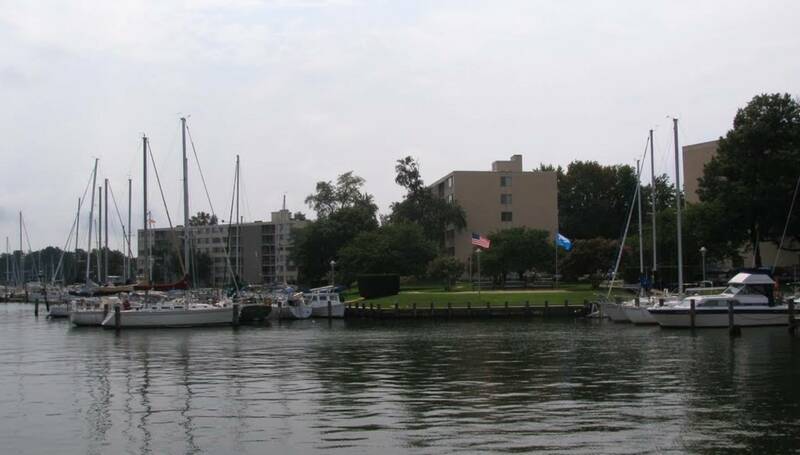 Watergate Pointe is positioned on the starboard side of Back Creek as you enter from the Severn River. Easy access to working boat yards on Back Creek. 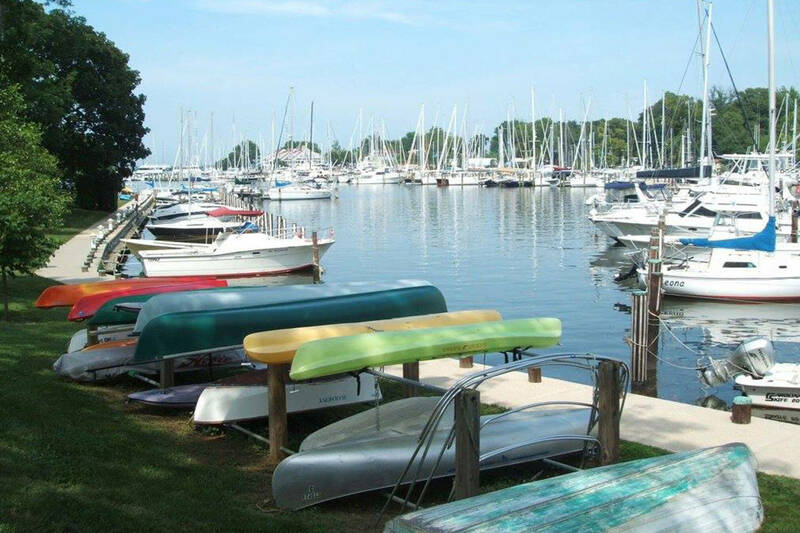 Close and convenient to many restaurants and historic downtown Annapolis by water-taxi which picks-up and drops-off directly from the Watergate Pointe Marina docks! 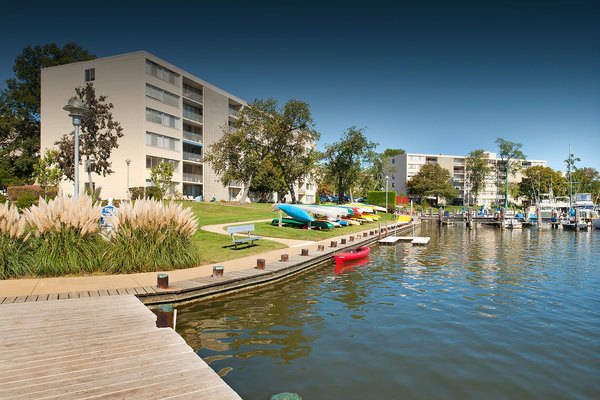 Offering the most competitively priced slips in the area, Watergate Pointe features many amenities and conveniences, including a two-bedroom, fully furnished and well-appointed apartment with washer/dryer for daily or longer rentals to marina customers (call for apartment rental costs and availability). Fuel and boat repairs are also close by on back creek.